February 2010 - This product is the original Wobenzym manufactured by Mucos Pharma in Germany. Garden of Life is the distributor of Wobenzym in the U.S. The packaging has been adjusted for the U.S. market. 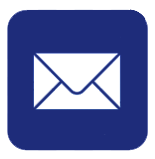 Mucos Pharma and Garden of Life are both subsidiaries of Atrium Innovation. 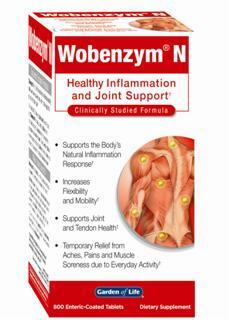 The exact formulation found in Wobenzym N has been featured in six human clinical studies with 2,489 patients studied. 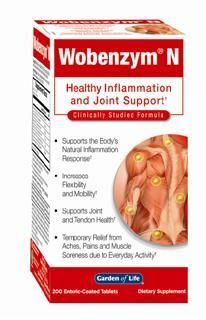 When you read that Wobenzym N provides temporary relief from everyday aches, pains and muscle soreness due to everyday activity, increased flexibility and mobility, and promotes a normal inflammation response and supports joint and tendon health, you know that these results have been clinically studied. Distributed or manufactured from Mucos Pharma. See more Mucos Pharma products. 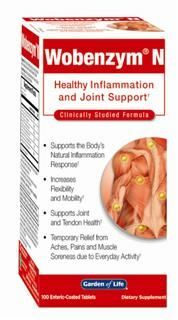 I started using this product 8 months ago for osteoarthritis. 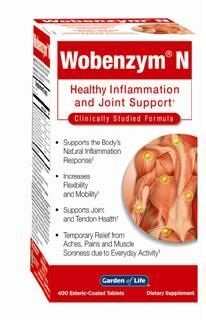 I also have an autoimmune condition and have found that the Wobenzym N has relieved the pain and inflammation. Inflammation in the body can lead to may other conditions. This proteolytic enzyme formula works well for me. I have recommended this to many other friends and family. I use wobenzyme for joint pain, to reduce my cholesterol, to help me digest, to help the other vitamins to kick in, to clean my arteries. To speed up my digestive movment. To improve my energy, to, hopefully ccalm down the muscle pain. 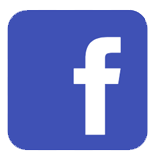 ONLY GENUINE GERMAN MUCOS PHARMA PRODUCT WORKS. AMERICAN PRODUCT DOES NOT! I DRIVE 40 EXTRA YARDS ON THE GOLF COURSE,MAKES ME FEEL 10 YEARS YOUNGER. I TAKE ONLY 3X TIMES 2 PILS 1/2 HOUR BEFORE THE MEALS. 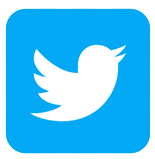 IT IS A FANTASTIC PRODUCT !!! I AM TREATING MY LIPID PROFILE FOR PAST 20 YEARS. FINALLY, NOW IT IS 100% O.K.- THANKS TO THE MUCOS PHARMA WOBENZYM. 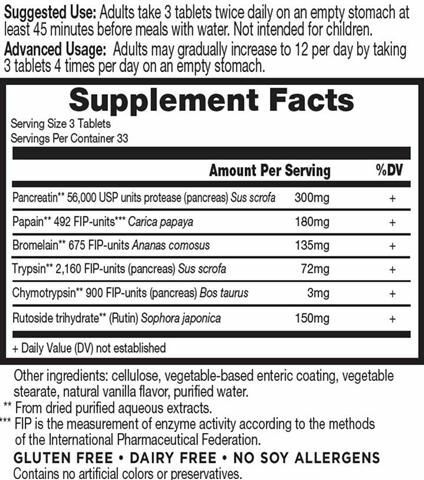 I came across this product after researching proteolytic enzymes on a tip from "Alive" magazine, pg 57, January 2007, which suggested such enzymes to improve immune function to combat hypothyroidism. It is an interesting way to naturally manage thyroid health, and other autoimmune disorders, such as Lupus. On it, and a mix of Vitamin C, Turmeric and Vitamin E, my TSH hormones have dropped to below 1. It had my MD ND taking notes. I take 2-3 servings daily of 5-10 tabs. The bottle smells delicious upon opening it, and for some reason, causes great physiological joy, motivating a passionate stick-to-it-edness for my regimen. I highly recommend Wobenzym.